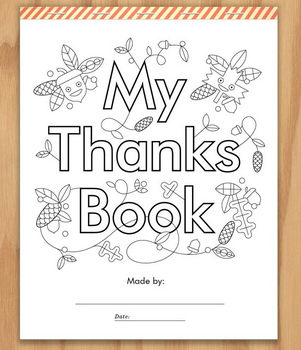 If you are looking for a great Thanksgiving day activity for your little ones or something to work on leading up to the big day to help them remember what they are thankful for, check out this printable Thanks Book. There is a page for each letter of Thanks that they can use to draw a picture, make a collage, or write about what they are thankful for that starts with the corresponding letter. It could be kind of fun for the adults too. You can download a copy of the printable Thanks Book over at Wee Society.